sub-micron resolution mass spectrometry imaging. 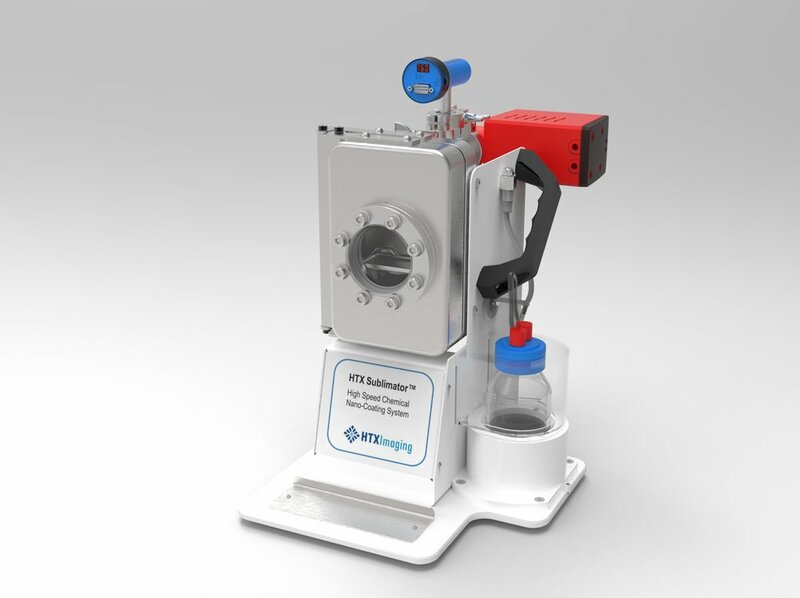 The HTX Sublimator features a rectangular vacuum chamber that achieve sublimation conditions extremely quickly to maximize efficiency for imaging MS sample preparation. Electronic controls and pre-defined matrix deposition protocols ensure sample-to-sample reproducibility and optimum matrix surface quality. Validated protocols are available for DHB, CHCA, SA, DAN, 9-AA, and Norhamane.